Some time nearing the last quarter of 2013, had to head to Singapore for some work, and mix it up with a bit of leisure as well. This required some hotel reservations. There have been some hits and misses from before if all you consider is the price regardless of the location. Now, once you begin weighing your options better, you begin to see some better alternatives. And when you see this hotel, you may just want to pick this each and every time you are in Singapore. 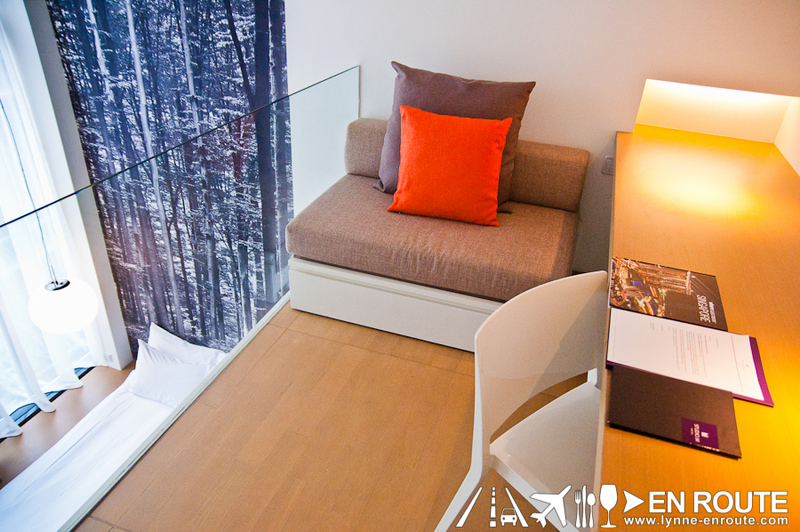 Studio M is actually of the Millenium group of hotels that have various endeavors in Singapore. 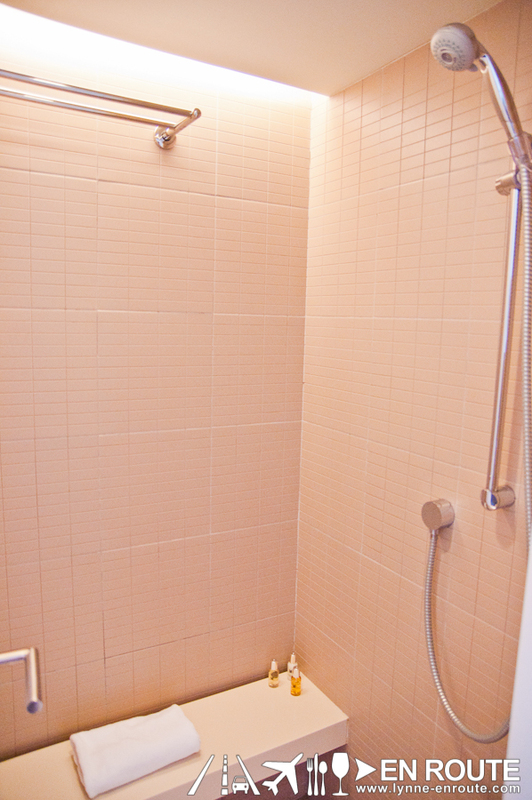 This one near Clarke Quay maximizes the room dimensions by adding loft-style amenities. 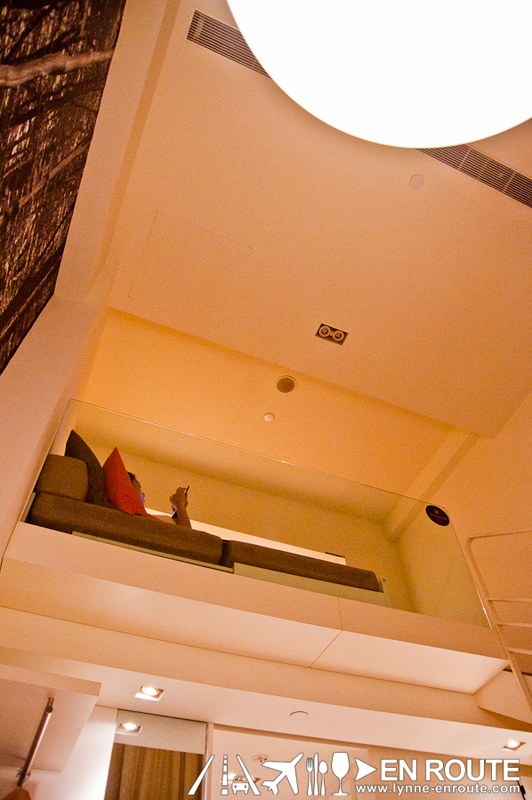 it seems building vertically is becoming cheaper in Singapore than going horizontal. 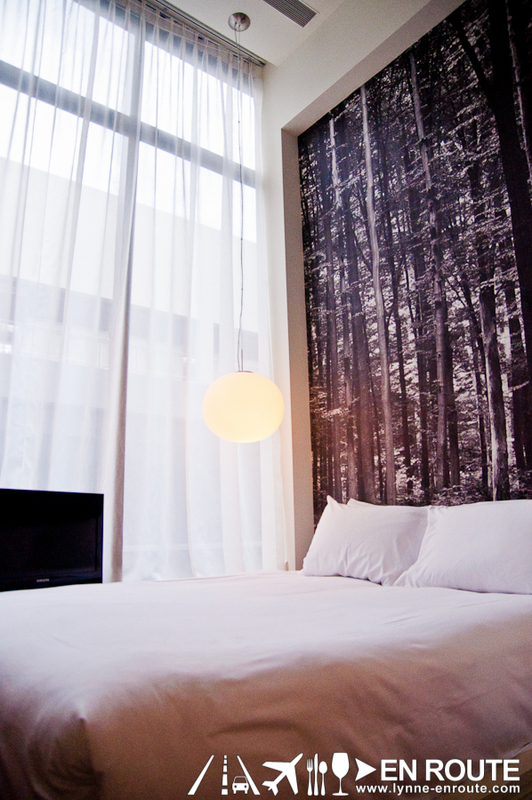 But they did a good execution for Studio M.
Modern, minimalist, and masterfully done. 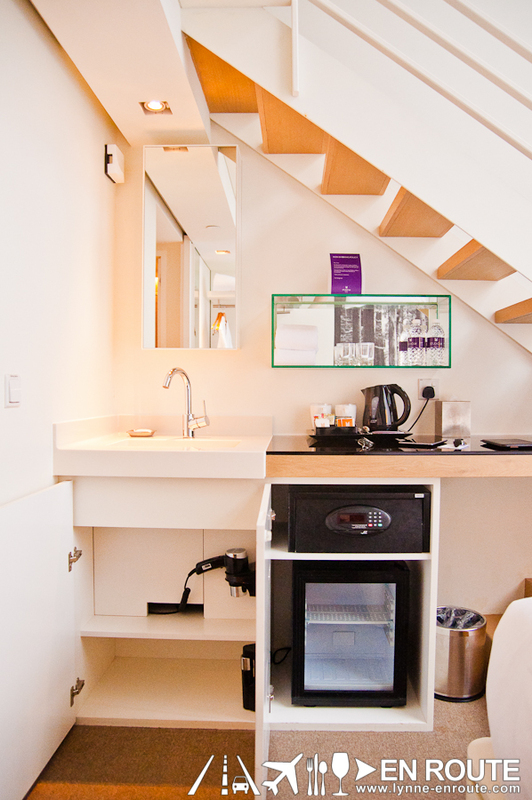 Your bed greets you on the ground floor, and in the loft is a couch/bed and your working area. 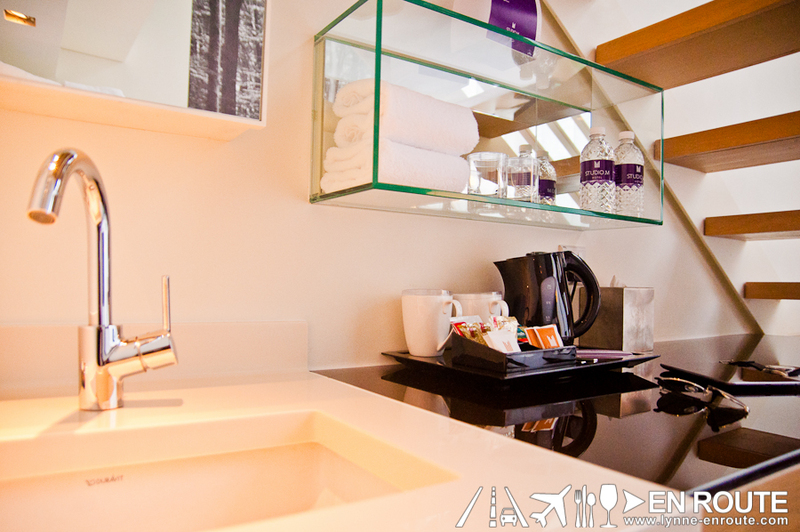 In an effort to work with the amount of space given, your bathroom sink is located outside the bathroom themselves. 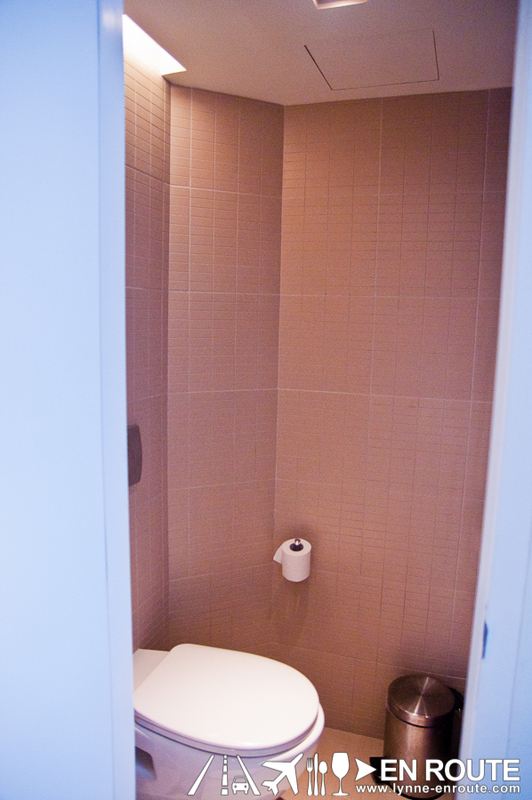 Even the toilet and bath area are separated into their own rooms opposite each other. The plumbing works for this hotel must be quite tedious. 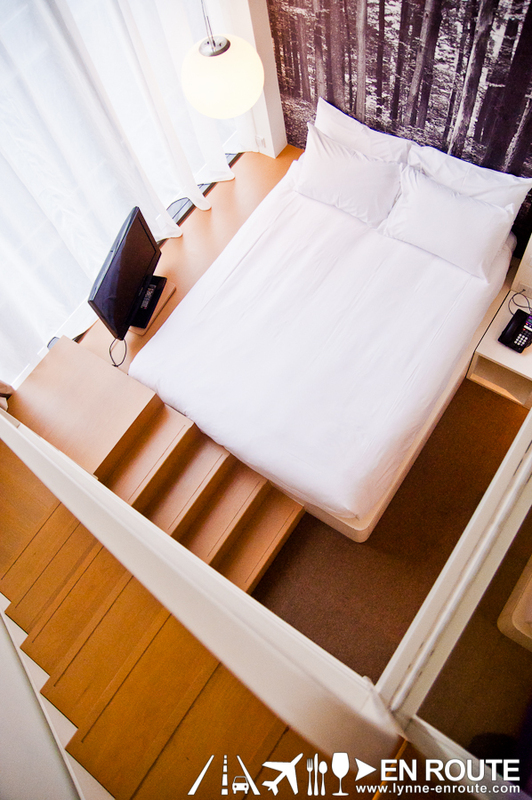 This room seems to be somewhere in the vicinity of 18 square meters, but having a vertical component has increased the usable floor area by as much as 40%. And it really helps that the lines and angles are so clean that nothing looks cluttered. It adds to making the room look larger. 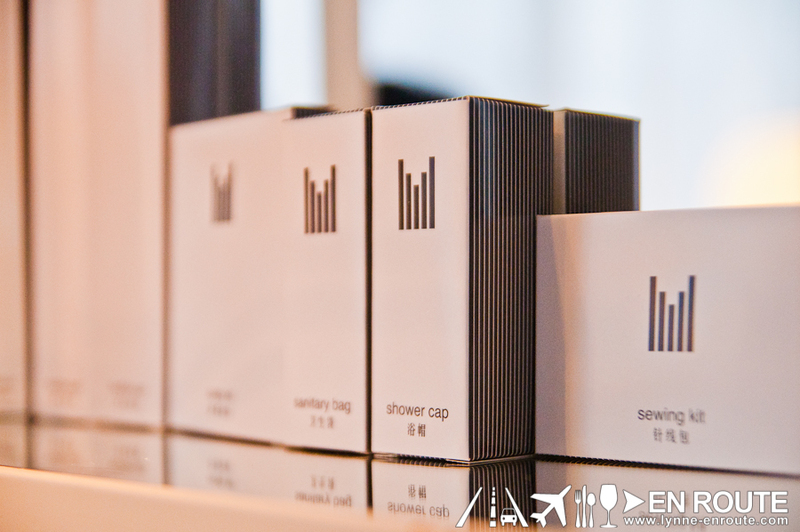 And don’t think that service is compromised just because of roomier amenities. 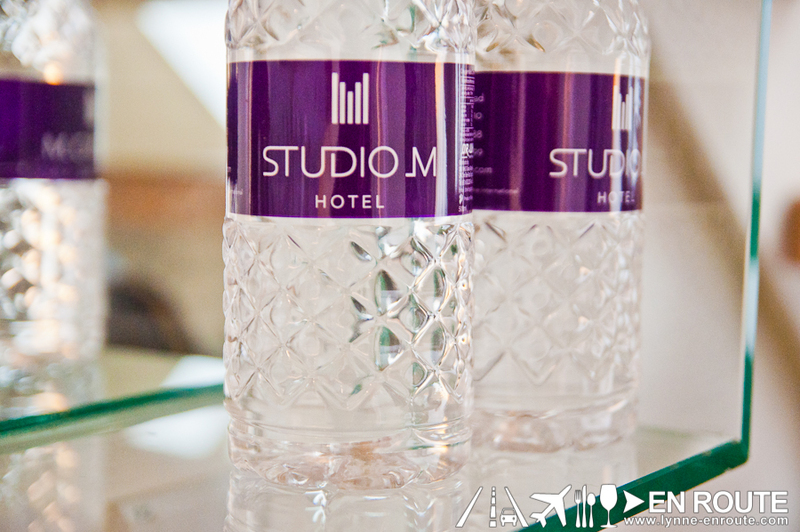 Studio M has some great staff that can help you with your needs to the best of their abilities and capacity. One great thing is that this is just a few minutes walk into the heat of the action of Clarke Quay are if you are for your mainstream tourist attractions in Singapore. For other places, you can take a cab that can be hailed by their front desk or take the bus on the nearest bus stop. After all, getting around Singapore is incredibly easy. They do not have a breakfast nook for their guests, but their partnership with Book Cafe across the street ensures you get delicious meals at a discounted cost. Lasts 2013, the discount was somewhere around 30% for selected items! This has really worked in their favor. Book Cafe is like that small, family-run coffee shop of your dreams that serves tasty, comforting food with the environment conducive for reading your book or bonding with your friends. Want to try a cuisine that is more local? Walk to the nearby hawker center. You really have to get some of that oily, greasy breakfasts to take the rust off the morning and get yourself primed up for the day. When in Singapore, always look at what Studio M has to offer. 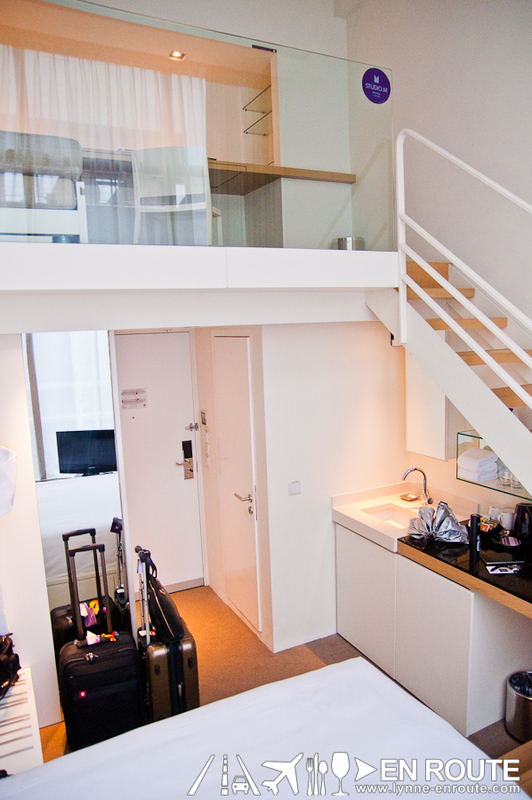 Their competitive rates through some Online Travel Agencies can give you some of the best bargains in what is relatively an already expensive city. Here’s to staying again with them in the near future! 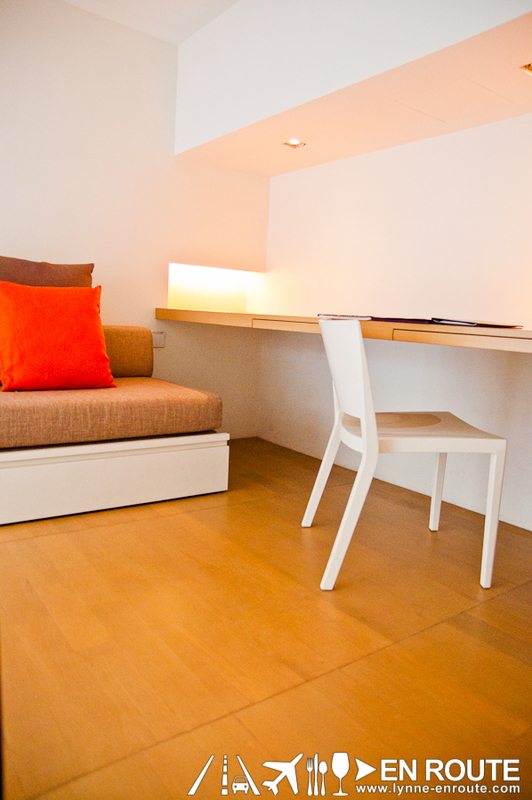 Studio M can be accessed via bus or taxi from Changi Airport. For convenience, it is recommended to take a taxi.